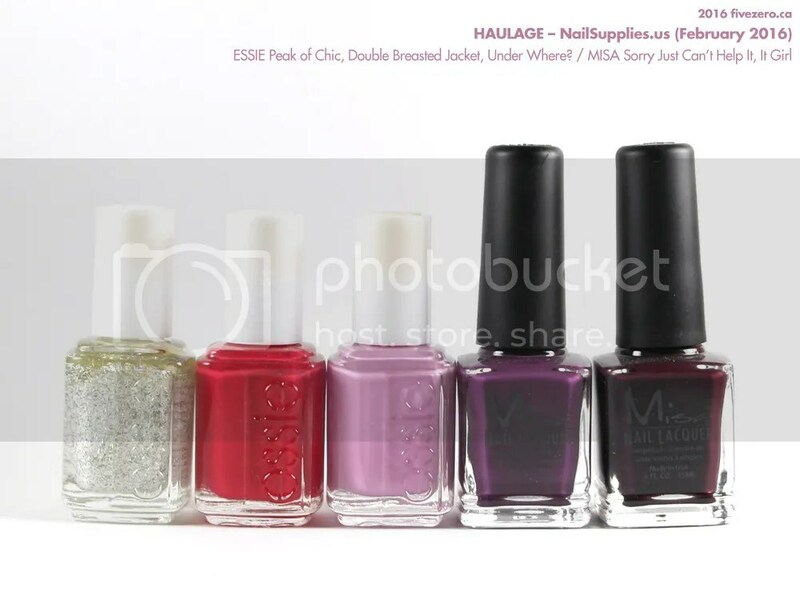 Often, when my US-based family come up for a visit, I place an order with one of the online nail polish discounters (NailSupplies.us, Head2ToeBeauty, and 8ty8Beauty—no affiliation!) for them to bring up. My mom recently came up to visit and help out with my two year old peanut, since I’m now six months pregnant and can use all the help I can get! So, I placed an order with NailSupplies back in February and she kindly brought it up for me. OPI, Orly, and Misa are a bit pricy in Canada, even when you can find them at Winners (and Misa is hard to find entirely! ), so over half of my order consisted of these three brands. NailSupplies recently told me that they were phasing out Misa, so there’s only the remaining stock left there, and no new collections. SAD. I’m going to have to order more Misas, next time. And, after the success of my first Amour polish (which I think is made by NailSupplies themselves), I thought I’d try a few more! I sorely miss the days of being able to order from the nail polish discounters and ship directly to Canada! The US postal rates have just gone up too much over the years to make it worthwhile (and if your order amount is higher than CA$25 or so, you run the risk of getting duties and taxes slapped onto your order, as well). Oh I have that Essie Peak of Chic found on clearance for $3 – still haven’t figured out how to wear it. The Amour bottles are just like the old Quo by Orly ones, hrm. Hahaha, they’ve gotten really used to bringing stuff for me, thankfully! I’m not really sure how to swatch Peak of Chic, myself. Probably over a similar color. It’s gonna look gross all by itself, I bet. :p Yes, the Amour bottle shape is really close to the Quo by Orly bottles. Cap is cheaper, though. Congrats again for mum to be.